MRI services are offered at both of our North Florida locations. Our Philips high field imaging systems produce superior quality diagnostic images with ACR accreditation. All patient scans are read by board certified radiologists, specially trained in musculoskeletal and neuroradiology. Our MRI team of certified MRI Technologists has over twenty five years of experience which includes lead technologist/manager, Deanna Swann RT (R)MR and Paige Nierengarten RT(R)MR. We have a short bore (tunnel) MRI, which is more patient friendly and much less confining than the traditional MRI and music is available. 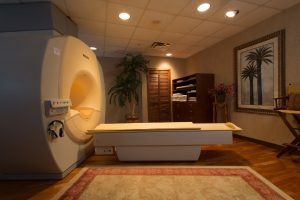 With our on-site MRI we are able to offer convenient, flexible scheduling and same day appointments are sometimes also available. We are open and available to do scans, Monday through Friday from 8:00am to 5:00pm. Orthopaedic Associates of St Augustine is proud to state that we meet the highest standards of accreditation by the American College of Radiology. At Orthopaedic Associates of St. Augustine, we utilize a computer aided x-ray system. The digital image can then be viewed and enhanced using our medical software that has functions such as contrast, brightness, orientation, filtration and zoom. 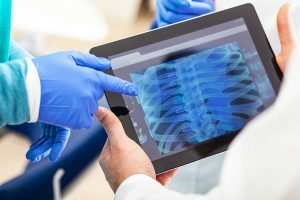 In both of our facilities, our patients have the availability to view their computerized x-ray image in the exam room and discuss the findings with their doctor immediately.